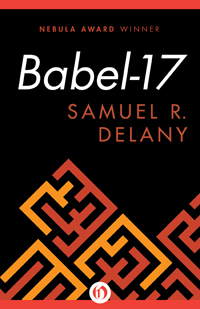 Samuel Delany wrote Babel-17 when he was in his mid 20s, and in a very short novel he offers up fascinating linguistic theories and applications, compelling characters and social situations, and intergalactic war. The too long didn’t read version of this review is I absolutely loved Babel-17. It doesn’t feel dated, Delany’s stylistic experiments paid off, and it’s just a damn gorgeous book to read. Everyone else must have thought so as well, as it was a joint winner for the Nebula Award for best novel, and nominated for a Hugo. Rydra Wong is a young and intensely talented poet, and her books and poems are known throughout the galaxy. She doubts her own talent, and feels that she only writing what other people have already thought but couldn’t come up with the words for. Recruited by the government for her linguistics talents to decode a message picked up from the invaders, she quickly realizes this isn’t a code, but an entire language, and she soons become desperate to learn the entire thing. On a mission to both acquire more snippets of the Babel-17 language and learn where it originated, Wong is given a ship and her choice of crewmates. Nothing about Babel-17 is done or shown in an expected way, and I loved that. When Wong is looking to recruit a crew for her ship, she shops for a pilot at a wrestling match, tries to fix up a broken marriage with help from the morgue, and even recruits few completely discorporate (dead) crewmembers. Weird at first for me, but easy to get used to and hella fun. 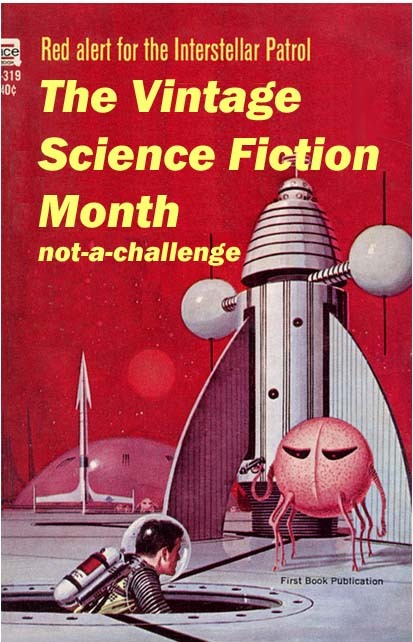 I told my guest posters they could write about anything they wanted for Vintage Science Fiction month, so long as it was speculative fiction related and happened before 1979. I didn’t give anyone any specific direction, on anything. Ladies and gentlemen, today you are in for a treat. Brittain didn’t just write about one book, or one author. He went all out and read through the nominated and winning novels of the Hugo, Nebula and Locus awards of 1977.
something more entertaining than a simple book review of some cobwebby relic. Many of my posts tend towards aimless, politico-economic rambling, I quickly shot that down as requiring far too much research. Finally, I settled on the idea of looking at the award winners and nominees from a particular year; in this case, my birth year of 1977. (Does this make me vintage as well? I prefer to think otherwise.) (Also, I realize that the books here were all published in 1976, but we’ll just talk about them in terms of 1977, for simplicity’s sake.) The topic thus decided, I set about to read as many of the major books from the year as I could, in hopes of providing capsule reviews here. It is fortunate that 1977 was still a year of thin, concise volumes. I wouldn’t have been able to pull this off in an age when the average page count ticks up over four or five hundred. My focus for this piece is what I consider to be the three big prizes of Western SF: The Hugo, Nebula, and Locus Awards. I read the winner of each and as many of the nominees as I could get my hands on. I skipped World Fantasy, Campbell, and a couple of others, but there may be time for a follow up later on. I also passed on short fiction in a bid to prevent this project from spiraling out of control. Fortunately, the nominee listings (and awards!) had considerable overlap. Starting with the winning books, below is a selection of the best and brightest of 1977. I may still ramble. 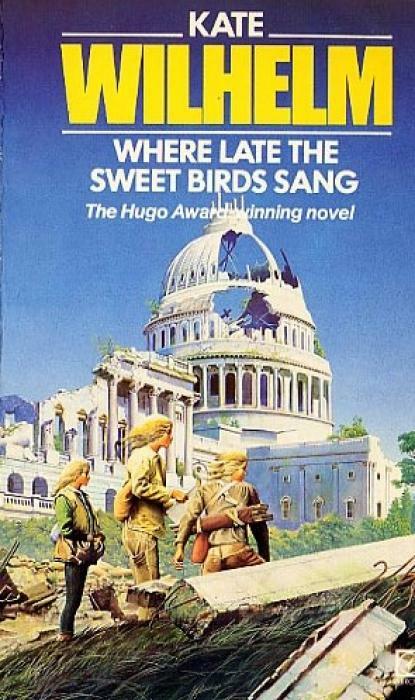 Where Late the Sweet Birds Sang by Kate Wilhelm – Wilhelm took home the Hugo and Locus with this book, a mix of elegy, apocalypse, and clones. The writing is lyrical and hypnotic, as Wilhelm manages to make her clones both sympathetic and wholly alien. I was disappointed in the end with the conflict she decided to make unavoidable and the results she made inevitable, but that is a matter of opinion rather than technique. 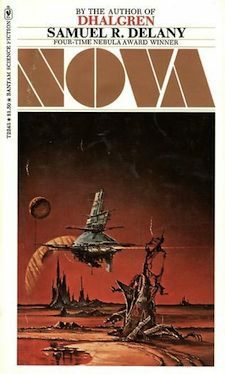 I’m a little surprised that this book has faded from the SF consciousness a bit, as it appeared to make a splash at the time. It has also aged well, with little inside to date it. In fact, it may be even more relevant now, with cloning back in the public eye. Recommended reading and a worthy winner, I think. At the very least, I haven’t read anything else from 1977 that is clearly better.